As I sit here in 76 degree F North Carolina in February (yeah, you Yankees can be envious now) thoughts of convertibles fill my head! 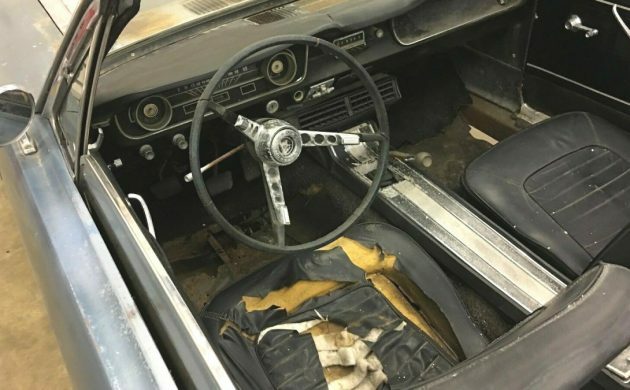 There’s a Mustang project for sale at no reserve here on eBay that with some dedicated effort (or a lot of money) could be back on the road by Spring. 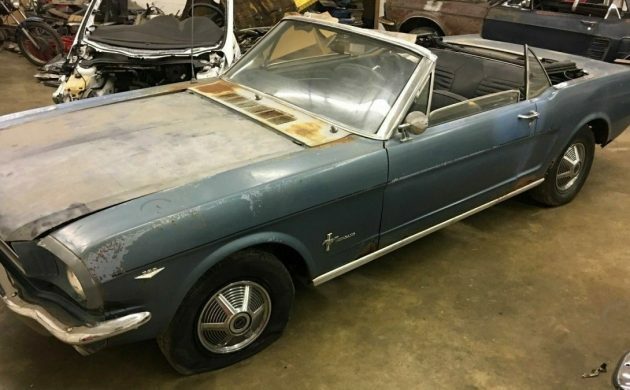 It’s located in Los Angeles and bidding is up to $7,000 now — I can’t be the only one thinking of top down driving! 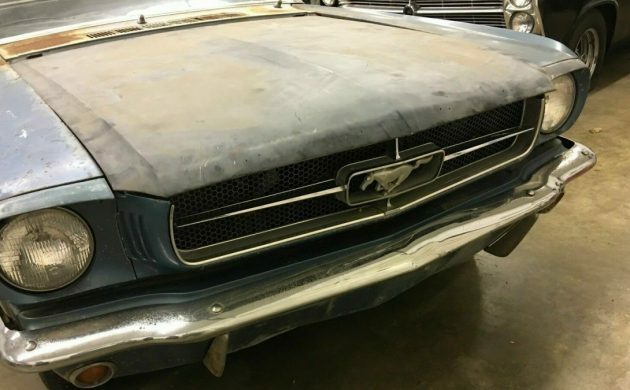 Not only has this Mustang been left largely alone, it seems to be a fairly solid body. 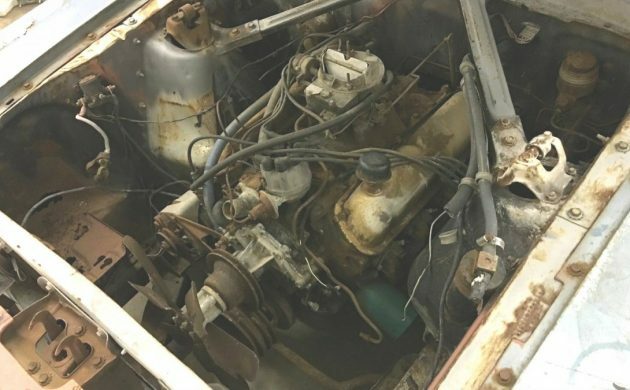 However, the seller tells us that it needs floor pans, some frame rail work, some trunk work and replacement inner rockers. 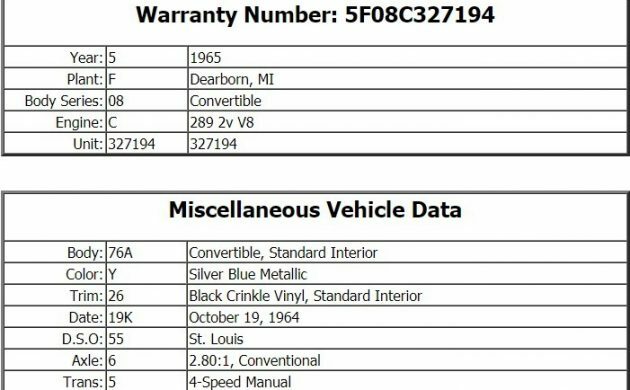 For those of you experienced with Mustangs, some of those should scare you a bit, especially at this price. But maybe I’m overreacting. 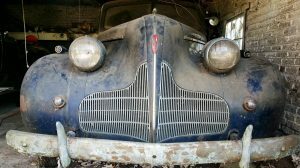 The hood is obviously from a different car, and something about the grille seems askew to me — but perhaps it’s just the angle of this photograph. The interior is complete but tattered. That’s an aftermarket air conditioning system under the dash. It’s probably better and possibly to purchase a completely new system than try to get the original system operating. As you can see, we are looking at a factory 4-speed V-8 car, even if it’s not a GT. 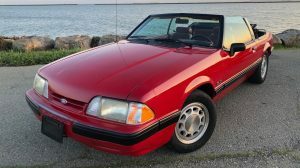 Let us know if you want to cruise in this Mustang come Spring 2019! Being in LA it will go for too much anyway, but it will be fun if its completed. I am envious Jamie. Its 28° in Portland, and they’re calling for up to 14 inches of snow from Saturday to Tuesday. Convertible season seems a long way off. So weird…its below freezing in SoCal….I’m sure its cold in LA. I did all of the work that the seller stated is necessary on the one I have now. While not impossible it is not easy either. 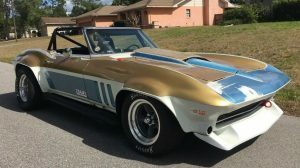 It would for me, be a far better option to find one in better shape for more money because you are looking at an extensive sheet metal bill along with a lot of hours of construction. Keeping the body square while replacing floors, trunk and rails is difficult and vital to the build. I was lucky enough to find some NOS Ford quarters to make it easier. A lot of aftermarket stuff just doesn’t not fit well and it took a lot of time and effort to make it right. Pass…there are better car out there that would cost justify itself. Now, if there was no sheet metal repairs needed, I’d be all over that car. 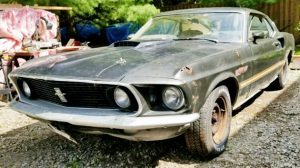 I agree with MrMustang there are so many of these that are in much better condition…you can buy this one and spend $30,000. On it to make it worth about $24,000. all said and done. Or you can by a good one for around $26,000. all done and have a nice car that you could tinker with that will hold its value. I know because I have done just that……twice! That is spending over $40,000. 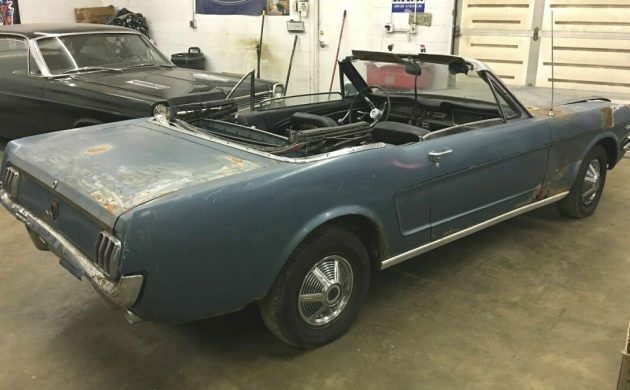 In total to buy, restore and then sell a 65 mustang convertible for only $25,000. Luckily it took me 6 years to restore so I didn’t notice the $15,000 loss until I totaled up what I spent. after car was gone.